Why is Out-of-State Money flooding into Mobile? In recent years, Mobile has enjoyed a renaissance of economic development. Austal, ThyssenKrupp and Airbus have all chosen to build new facilities in coastal Alabama, while our Port of Mobile has steadily grown to be one of the largest ports in the United States. Why have we seen so much growth in Mobile? Along with a diverse, capable workforce and desirable quality of life, these companies are able to operate at a lower cost of doing business. Utilizing Alabama’s great natural resources, our utility companies are able to provide a service to these companies at a cost-effective rate, while maintaining the cleanest energy production in years. 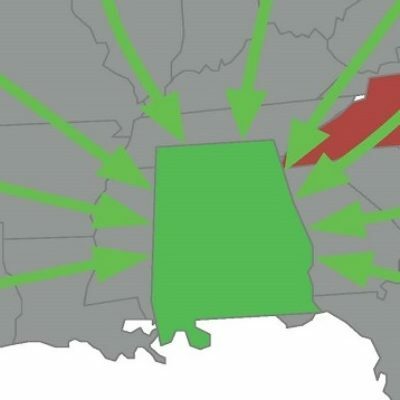 At the same time, Alabama is seeing an influx of money from out-of-state organizations. 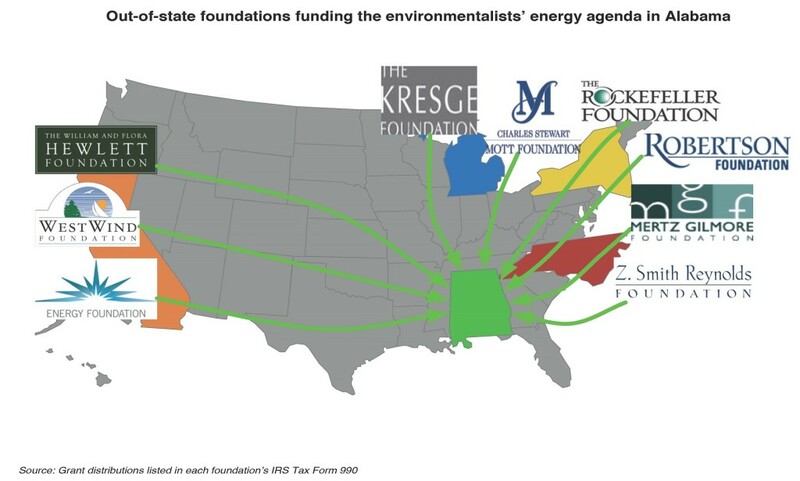 Why are organizations like the Energy Foundation, the Hewlett Foundation, the Kresge Foundation and the Rockefeller Foundation all pouring money into Alabama-based environmental groups? Most of these organizations, including the Energy Foundation, have stated goals of supporting solar, wind and clean energy agendas. Why do organizations in California, Michigan and New York care how we use our natural resources in Alabama? In just one example, research has shown where California-based, Energy Foundation has invested significant funds in the Southern Environmental Law Center and the Alabama Rivers Alliance. Between 2009 and 2013, Alabama environmental organizations received over $27 million from out-of-state foundations. Additionally, organizations like the Sierra Club (also based in California) are sending staffers into our coastal communities, uninvited, to fight battles that our neighbors are already handling. With our rich history of solving problems through conversation and compromise, Mobilians have shown resiliency by coming together to openly discuss, identify and solve our own problems. We know how to work together to take care of our community issues, without outside influence. Who do you want to control the destiny of your community? Do you want California deciding what we do in Mobile? Do you want New York influencing our local decisions? We submit that Mobilians, and all Alabamians, should decide how we handle our own business. Ultimately, we think coastal Alabama should decide what’s right for coastal Alabama. We believe it’s time to speak up and decide who will control the destiny of Mobile, our region and our state. We encourage you to talk to your local, elected officials, ask your state representatives tough questions, start talking with your neighbors and let’s have a meaningful conversation around what WE want for our region. Together, we can build consensus and find one voice for our community. For additional information, contact Wiley Blankenship, CEO of Coastal Alabama Partnership at wiley@72.249.150.161 or 251-436-8822. Note: Please see graphic below demonstrating where the money is flowing.